I know, I know… title is the pits… Do I look like Enid Blyton? Cut me a break. I wanted to take the opportunity over the next few weeks to tell you about some of the great scents that you should consider giving a sniff as we depart Summer and begin to look forward to the leaves turning. I’m not the only one looking forward to this am I? 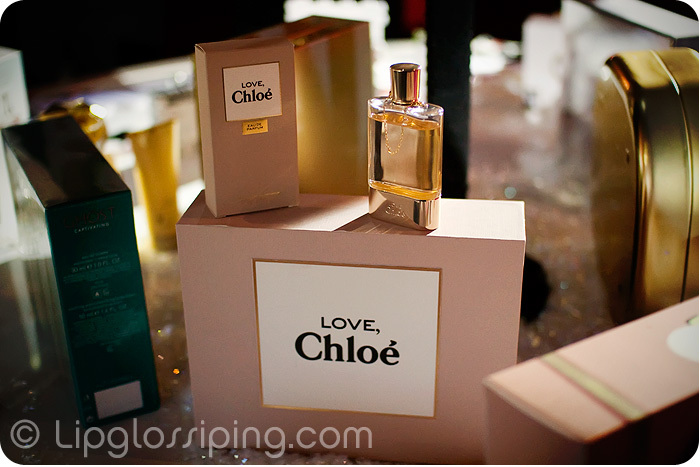 The new fragrance from Chloe is a celebration of radiant, generous and spontaneous femininity. It creates a fine, powdery scent, light and sensual with a flowery wake, iridescent and musky with alc and Rice Fragrance noes include Orange Blossom, Pink Pepper, Iris Absolute, Lilac, Hyacinth, Wisteria blossom, Heliotropine and Powdery Musks. Honestly? I have no idea what most of that means. I found it to be on the sweet side but thankfully stopping way short of saccharine. Definitely feminine, though not quite as light as they claim. Especially not when compared to the Calvin Klein that I’ll be showcasing soon. I predict this will sell by the bucketload, it’s a beautiful (if slightly safe) fragrance that will appeal to many, many women. I do like Chloe. Must have been one of the first to get it when it came out in 1975. This one might be worth a sniff. I like all those notes so it could well appeal. Thanks! I can already tell I will love this fragrance. I hope it gets release in Australia soon. Thanks for the information, it sounds delicious! I check your blog every day and as a huge perfume fan, I’m excited to read your opinions on the new releases! I also love perfumes. I got the new thierry mugler womanity the other day, its nice, figgy, but maybe a little sweet for me, still nice though!! think its gonna be very popular. Also like Ricci Ricci in autumn, lovely fruityness. And did you know next do a great dupe of miss dior cherie for like £6, called diamond. give it a go its lovely. Monday Musings: The next BIG face... is it worth it?